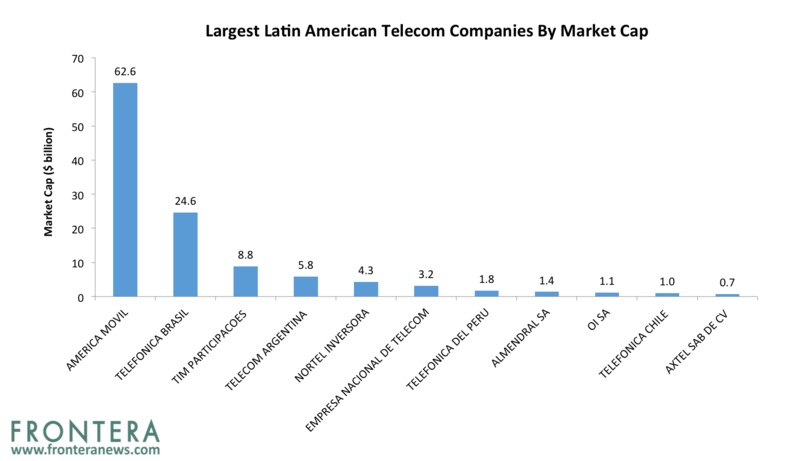 The four largest telecom markets in Latin America are currently Brazil, Mexico, Argentina and Chile. Brazil is the largest telecom market in Latin America and the fifth largest globally. The telecommunications sector contributed nearly 4% to Brazil’s GDP last year while users of mobile services grew from 41 million last year to 80.6 million in August 2017. Currently, mobile internet in the form of 3G and 4G is accessible to 98.4% of the country’s population according to Telebrasil, Brazilian Telecommunications Association. 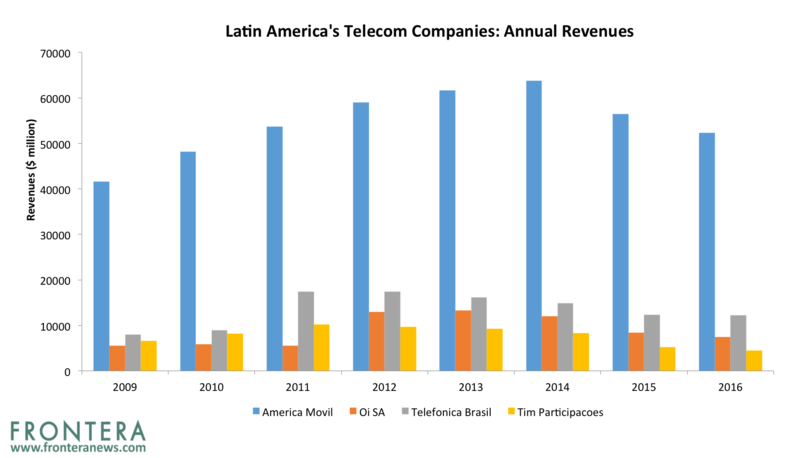 The Brazilian telecom market is primarily dominated by four large players – Spain’s Telefónica, Mexico’s América Móvil (AMX), and Oi, controlled by Brazilian investors and Portugal and GVT. In the last twelve months, the telecom market in Brazil has grown by 5.9% and is dominated by America Movil, Telefonica and Oi. The market leader America Movil added nearly 200,000 connections in the past one year, occupying 31% market share, while Telefonica and Oi command 27% and 23% of the market. Spain’s Telefonica operates in Brazil as Telefónica Brasil and has branded its landline and mobile offering under Vivo. Mexico based América Móvil group operates as mobile operator Claro and cable TV services provider Net Servicos. Oi offers landline and mobile services under the Oi brand name. GVT is the country’s most successful alternative network provider, offering landline services only. Mexico is the second largest telecom market in Latin America with 89 million users, representing nearly 70% of the population. 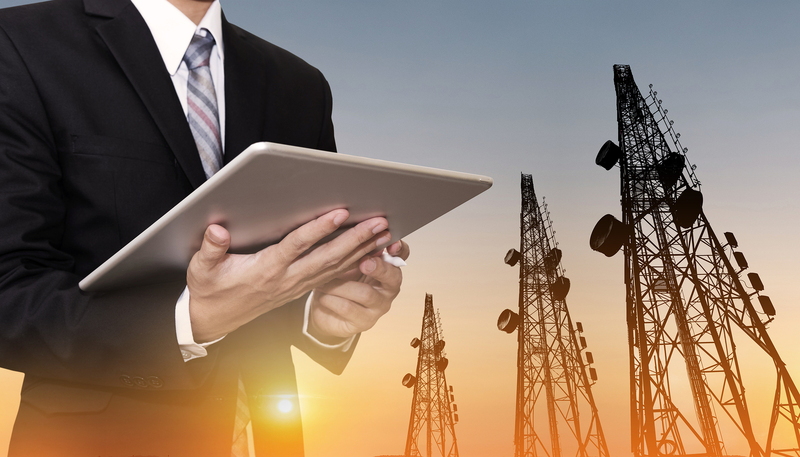 The telecom sector contributes nearly 3.5% to the country’s GDP. The local market is owned by three major players. América Móvil’s Telcel has 67% of mobile connections, while Telefónica-owned Movistar has 24%, and AT&T, after acquiring Iusacell and Nextel in early 2015, occupies 9% of the market. Since 2010, mobile operator market shares have remained largely unchanged in the country. Argentina is of the most developed broadband markets in South America, second only to Chile. The telecom market in Argentina is primarily dominated by Telecom Argentina, Movistar, Claro, and Telecom Personal. 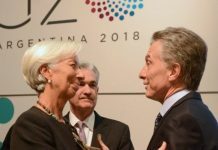 The local fixed-line industry is dominated Telecom Argentina (Telecom) and Telefonica de Argentina (TA) while the broadband market is occupied by Telefonica de Argentina, Telecom Argentina, and Grupo Clarin. Chile’s broadband penetration is relatively high compared with other Latin American countries. In the past decade, Chile has benefited from solid GDP growth as larger Latin American economies have faltered. Currently, the country has one of the highest GDP per capita income, leading to high disposable income for telecom services. Telefónica’s Movistar, Almendral’s Entel, and América Móvil’s Claro are the largest players in Chile, operating through Nextel Chile and VTR. Year to date, the MSCI World Telecom Index has surged 0.5%. 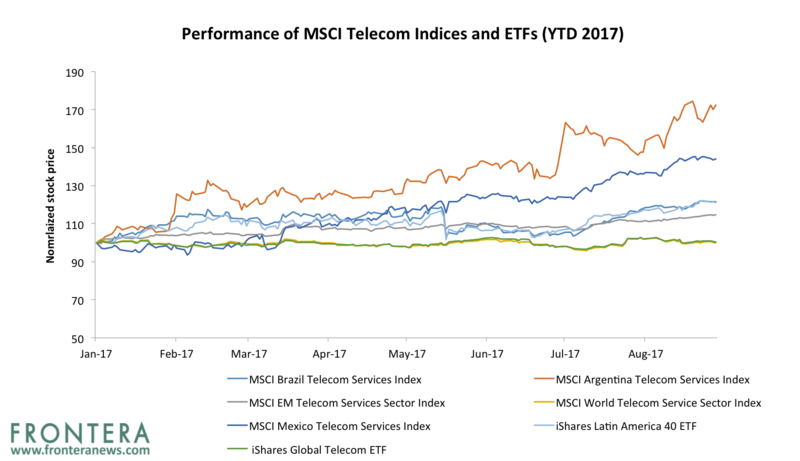 Comparatively, the MSCI Brazil Telecom Index, MSCI Mexico Telecom Index, MSCI Argentina Telecom Index and the MSCI Emerging Markets Telecom Index have returned 23.5%, 48.2%,71% and 15.1% respectively. 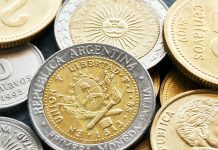 Looking at ETFs, the iShares Latin America 40 ETF (ILF) invests 4.9% of its portfolio in Latin American telecom stocks while the iShares Global Telecom ETF (IXP) provides 2% exposure to Latin America telecom stocks. YTD, shares of these ETFs have returned 25.6% and 3.7% respectively. 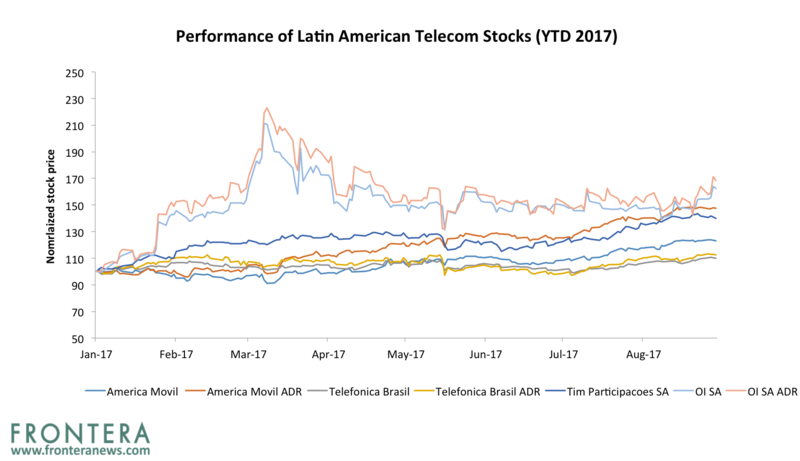 The largest Latin American telecom stocks by market capitalization are America Movil, Telefonica Brasil, Tim Participacoes Sa, Telecom Argentina and Nortel Inversora. Year to date, shares of these companies have returned 27.5%, 11.6%, 45.72%, 84.58% and 56.7% respectively. 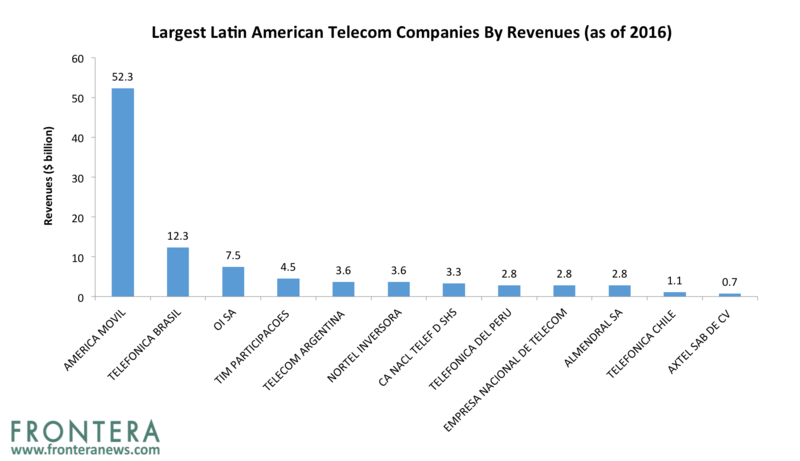 The largest Latin American telecom providers by revenue are America Movil , Telefonica Brasil , Oi SA, Tim Participacoes SA, and Telecom Argentina S.A. In 2016, these companies generated revenues of $52.3 billion, $12.3 billion, $7.5 billion, $4.5 billion and $3.6 billion respectively. America Movil (MV9.F)(AMOV)(AMXL.MX) is the fourth largest mobile network provider in the world and a Forbes Global 2000 company. Controlled by Mexican billionaire Carlos Slim, it provides 363.5 million access lines, including 280.6 million mobile subscribers worldwide. In Mexico, its subsidiary Telcel is the largest mobile operator commanding a market share in excess of 70%. The company operates in Jamaica, the Dominican Republic, El Salvador, Guatemala, Honduras, Nicaragua, Peru, Argentina, Uruguay, Chile, Paraguay, Puerto Rico, Colombia and Ecuador through its Claro subsidiary while in Brazil it operates through Embratel and Claro. In the United States, it operates through its subsidiary TracFone. It is among the largest telecom providers in the United States. The company also own 30% of KPN, the Netherlands based telecom company and 60% of Telekom Austria Group. In 2007, America Movil acquired Jamaican telecom company Oceanic Digital. América Móvil acquired 100% of Jamaican mobile operator Oceanic Digital, under the brand name MiPhone in August 2007. On November 15, 2005, the company signed an international pact with Bridge Alliance to jointly deliver various international services. America Movil is the largest Mexican company by revenues with annual sales of $52.3 billion in 2016. In 2016, the company owned assets of $73 billion, making it the largest company in Mexico by assets. The company trades on the Mexican, New York and Frankfurt stock exchanges (MV9.F)(AMOV)(AMXL.MX). With a market value of over $63 billion, the company is currently the most valuable company in Mexico, more than the next three most valuable companies combined. Telefonica Brasil (VIV)(VIVT3S.SA) is the Brazilian subsidiary of the Spanish telecom giant Telefónica. The company entered Brazil in 1998 while privatization of state owned Brazilian telecom company Telebras was taking place. Telefónica began their operations in Brazil under the brand Vivo in 2003 through a joint venture with Portugal Telecom. In 2015, Telefónica Brasil acquired GVT to become the largest telecom operator in Brazil. As at June 2017, Telefonica served nearly 97.6 million customers in Brazil. The company generated revenues of $12.3 billion in 2016, pitting it against the largest global telecom players. Oi (OIBR4.SA)(OIBR-C) is Brazil’s leading telecommunications service provider, and is one of the largest telecom companies in South America in terms of subscribers and revenues. The company operates through its subsidiaries Telemar and Brasil Telecom. In June 2016, the company filed for a $19 billion bankruptcy protection, the largest so far in Brazil. The in-court reorganization has been slowed by ongoing disputes between creditors and shareholders. In 2016, the company serviced 63.6 million customers and generated $1.1 billion in revenues. The company trades on the Brazilian and New York stock exchanges and has gained 59% in 2017 so far. Tim Brasil is the Brazilian arm of Italy based telecom provider Telecom Italia Mobile (TI). The company has nearly 61.3 million customers in Brazil and is the first mobile company to service all states in the country. In the last twelve months, TIM was the fastest growing broadband operator in the country growing its subscriber base by 21% to 378,446. TIM is the fifth largest broadband player in Brazil with a market share of 1%. In 2016, Tim generated revenues of $8.8 billion, third highest among Latin American telecom companies. Shares of the company are listed on BM&F Bovespa (TIMP3.SA) and NYSE exchanges (TSU) and have gained 46% in 2017 so far. Analysts are wary of telecom companies in Latin America’s largest economies – Brazil and Mexico – as they struggle with political and economic uncertainty. 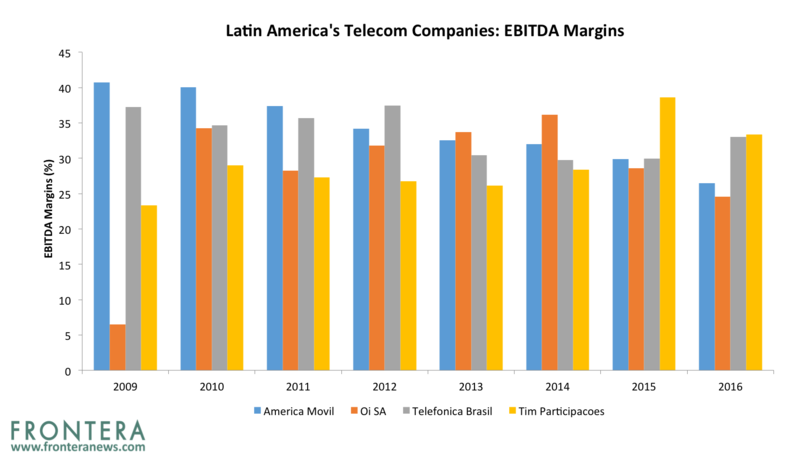 Recently, BTIG initiated coverage on Latin America’s largest telecom company America Movil with a neutral rating raising doubts in its ability to manage its shareholder’s returns along with its massive debt burden. However, the research house is bullish on Telefonica Brasil. America Movil’s total enterprise Value is slightly over 5x our 2017 EBITDA estimate in a year that we expect no growth. The stock price also implies a free cash flow yield of 7%, but primarily because of the more than 20% cut in capital investment expected this year, which we believe could have longer term negative implications for revenue growth potential. America Movil sometimes issues special dividends, but given the lack of free cash flow growth at the company and share repurchase we estimate a dividend yield of less than 3%this year and next,” the note continued. Shares of America Movil have received 4 buy ratings, 2 sell ratings and 11 hold ratings. 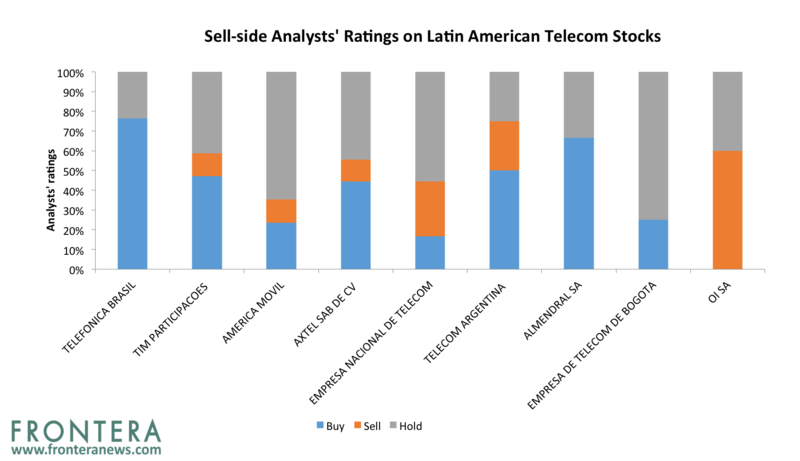 In comparison, Telefonica Brasil has received 13 buy ratings and merely 4 hold ratings. Telefonica Brasil has received no sell ratings. TIM has received 4 buy ratings, 2 sell ratings and 11 hold ratings. Analysts are most bearish on shares of Oi after the company filed for bankruptcy protection last year. The company has received 2 hold ratings and 3 sell ratings. 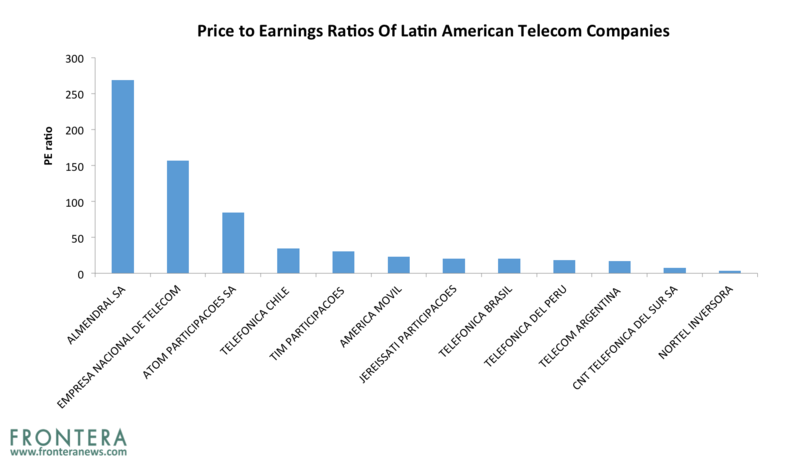 Valuations within the Latam telecom sector are stretched with average one-year forward PE ratio of 23x. 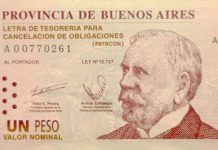 Nortel Inversora (NTL)(NORT6.BA), Cnt Telefonica Del Sur (TELSUR.CI) and Telecom Argentina (TEO) are the most attractively priced telecom stocks based on their cheap valuations. These stocks have one year forward PEs of 3.4x, 7.4x and 17x, and are trading at the steepest discount to their peers. Meanwhile Almendral Sa, Empresa Nacional De Telecom (ICA) and Atom Participacoes (ATOM3.SA) are expensive stocks.